UK copywriter or overseas writer? Which is better for your business? Is your company considering the viability of employing a web copywriter? UK businesses of all shapes, sizes and market sectors are sharing exactly the same thoughts – and why wouldn’t they? In this time of economic uncertainty and cutthroat competition the benefits of adding a professional writer to the marketing effort are becoming increasingly appreciated. Search engines love relevance. The most forward-thinking companies use the skills of a professional copywriter to create informative, interesting and relevant websites. Google rewards relevance with high search placements. A web copywriter can save you money. Organic listings are overall much cheaper than Pay Per Click – PPC. Internet-based marketing opportunities through press releases, articles, news stories and blogs can be added to your marketing mix and profitably exploited by a good web copywriter. UK and international PR opportunities abound. Use them. The ‘stickiness’ of your site can be powerfully and profitably enhanced by a good web copywriter. A UK copywriter or non UK copywriter? A quick Internet search on the term web copywriter in the UK or abroad (often from India or Eastern Europe) will return many thousands of options. For non-native (frequently nonsensical) copy fodder you can pay as little as $1 for a 200 word article. 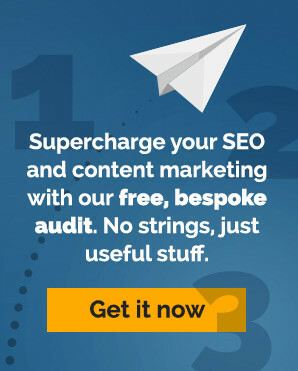 A professional, experienced SEO copywriter with a track record of success will of course cost you more than that. As with most things in life you get what you pay for with a UK copywriter likely to offer best value. You are how you read online. Anything less than high quality copy (which can stay on the Internet for years in the case of articles and press releases) will not reflect your organization in the most positive of lights – Cheap copy is a false economy. In spite of the economic woes we face at the moment (or maybe because of them) a wise marketing investment would be to spend a little extra on a web copywriter in the UK. They will be culturally and linguistically empathetic to your customers and can deliver your message effectively and rewardingly. ← Go Web Copywriter GO!